With more and more states legalizing or decriminalizing recreational or medicinal marijuana use every year, the cannabis market is exploding in popularity and creating a whole new tech vertical: "cannatech." This market is taking advantage of cutting-edge connected technologies to optimize everything from crop management to distribution. Would you believe me if I told you that legal cannabis sales in the United States hit almost $10B in 2018? Unsurprisingly, with the booming marijuana market, there seems to be a new tech vertical emerging: “cannatech.” This market is the perfect ecosystem for cutting-edge technologies, especially when looking at the agricultural and business aspects of the market. Growers, manufacturers and retailers are subject to a number of hurdles when it comes to business. Those include high taxes on multiple fronts, hesitation and refusal from banks worried about losing federal funding over their business with the marijuana industry, as well as competition with the black market. Needless to say, they have a need for streamlined and efficient operations to keep the focus and budget on the product. The days of under-the-covers growing are numbered. Considering nearly half of the states in the US allow residents to own and grow their own plants, people are constantly developing and fine-tuning technology to make it feasible, dare I say even easy, to maintain their own plants. Large-scale operations are also ramping up to meet the demand and are looking to tech to improve their crop output. 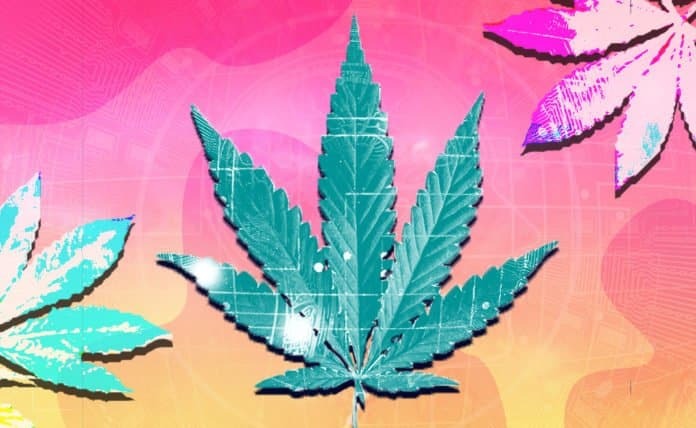 And for those who don’t want to grow their own flowers or need a place to buy specialized supplies, there is a whole new world of recreational and medicinal shops that require technology to meet legal requirements and optimize the shopping experience. These needs have opened up an avenue for technology companies to step in and fill the critical gaps in this newly legal industry. Cultivating marijuana plants is difficult work. There are many factors that can go awry and cause a plant either to die or to produce male flowers (male flowers can be used for hemp; only female flowers produce buds with the cannabinoid compounds sought by medical and recreational users). The majority of cannabis-consuming citizens in legal states are more likely to buy products from recreational or medicinal shops than they are to grow it themselves. Because of this legalization, the demand has increased; growers need high yields (unintentional pun, I swear) and low costs to stay solvent or in the green (again, I swear!). Many farms have turned to IoT to connect their growing operations and help manage these finicky crops. Entrepreneurs are retrofitting many existing IoT technologies, such as agricultural sensors and connected farming systems, to manipulate environments specifically for cannabis growing. The temperamental nature of these plants requires a lot of attention to detail and rigid schedules—things that can be ameliorated with connected technologies. With a connecting growing system, growers can add thermostats, temperature controls, humidity sensors and controls, scheduled waterings, light cycles and more to ensure the optimal conditions that keep plants in both the growing and blooming stages. This helps maximize yield and minimize the loss of viable plants. In addition, farms can be energy hogs with their lighting usage and other electricity-powered systems. Connected systems boast reduced energy use and saved costs, sometimes even up to 10x less than traditional growing set ups. Even better, IoT allows growers to manipulate these conditions from smartphones, tablets, or computers. These systems are capturing data and, in the longer they run, the more meaningful, predictive insights they can mine to help increase yields, energy efficiency and crop resiliency. While growing used to be a very hands-on and laborious process, IoT has made it more accessible and more profitable, offering the opportunity to support the new legal market. Essentially, this is a requirement in the world of recreational and medicinal marijuana, but it’s taken to a whole new level. Legalization has introduced regulation that requires the product to be tracked from seed to sale, aptly called “seed-to-sale.” We’re very creative here in America. Seed-to-sale systems use tracking IDs (such as barcodes, RFIDs, or other identification metrics) to identify plants at their germination process and track the plant as it grows, is harvested, dried, and either sold whole or made into other products. Often the system is a state decision and enforcement requires all growers and retailers to comply for oversight into and regulation of the industry. Growers and retailers can access the information about each plant or product on a software-as-a-service (SaaS) platform and trace it back to its roots. Considering the contentious nature of marijuana in the United States (federally it’s considered a Schedule I drug, a categorization based on abuse potential and acceptable medical use yet recreationally legal in many states), stringent tracking allows states to be able to oversee the inner workings of the industry and trace back to any problem cases, such as improper classification of THC dosage of a product. This tracking system would be impossible without cannatech. It would require companies to control the entire supply chain from growth to sale to have this much insight into a product’s origins. With interoperability between the smallest growers and the largest retailers, those within the industry can remain compliant. In addition, it allows transparency into the entire supply chain to the consumer, something seldom found in other industries. As the market continues to expand over the next few years and more states legalize the use of marijuana, we will see the expansion of cannatech as a tech vertical. It’s already garnered significant attention; many large investment firms are less hesitant to invest in cannatech. Some venture capital firms exist solely to invest in cannatech (looking at you, Snoop Dogg.) Cannatech startups are finding it easier to obtain capital, such as Eaze, the online cannabis delivery application that has raised $51.5M over its five-year lifetime. From the perspective of technology, we’re looking forward to seeing how tech-forward this industry becomes as it continues to mature and encounter federal complications.